Will they legalize chemical geoengineering in order to stop the fast-growing worldwide movement? Michael J. Murphy, the director and producer of both of the definitive films on geoegineering and chemtrails posted below recently spoke to at the Conscious Life Expo. His talk was very focused on what is perhaps the single most urgent topic our times—the governmental push to legalize geoengineering programs around the globe. His new and third documentary — UNconventional Grey — has been produced to present this global endeavor for people everywhere who are profoundly affected. For those who are unaware, this clandestine initiative to legalize geoengineering will have more impact on the condition of Planet Earth than any other government program in existence today. The consequences of spraying chemtrail aerosols into the atmosphere are so many and so profound that it behooves every resident of the planet to weigh in on this very weighty matter. What Michael Murphy does in the following video is explain in simple terms exactly what’s going on and how it will impact nations large and small. He provides dramatic examples of how life on Earth will be transformed in to a prison of sorts through the enactment of national laws and global legislation which will legitimize what is essentially illegal. Why is chemical geoengineering inherently unlawful? Because chemtrail aerosols basically introduce massive amounts of toxic compounds and poisonous contaminants into the ambient atmosphere. No government ever has the right or authority to poison the air supply. In fact, no entity under the sun possesses the legitimate authority to pollute the stratosphere or troposphere in the manner that specially equipped airliners are now doing on a daily basis around the world. The following video by Michael Murphy spells out the great dangers and risks associated with the blanket legalization of these highly polluting programs. He elaborates the purpose and content of his upcoming film and informs the viewer of just how imperative it has become to stop the furtive governmental movement that is behind the legalization agenda. State of the Nation has written about chemical geoengineering for years and recognizes it as the greatest challenge that humanity faces today. Michael Murphy has been at the forefront of this exceedingly important advocacy and we encourage every reader to disseminate this post. Truly, the future of the human race lies in the balance, as does the fate of the biosphere. For those who doubt this assertion, the following two videos are presented for further edification. 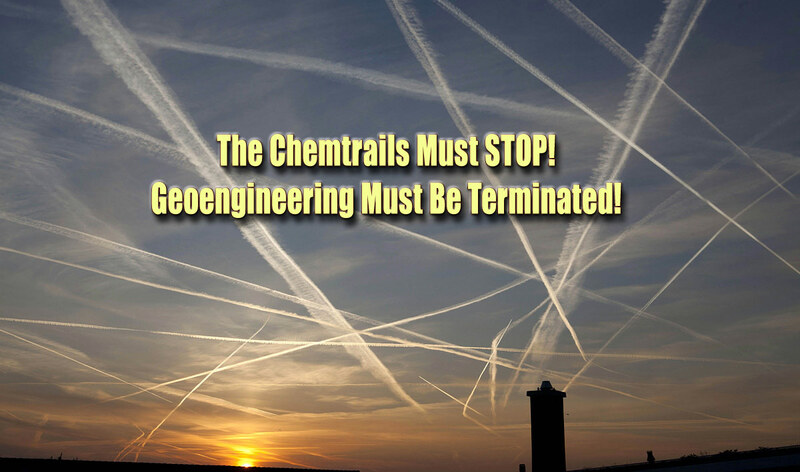 We trust that everyone will eventually take up the torch of advocacy which seeks to terminate the global chemical geoengineering programs, which are intensifying by the month. After watching the two preceding videos, who would not want to protect the biosphere for future generations?